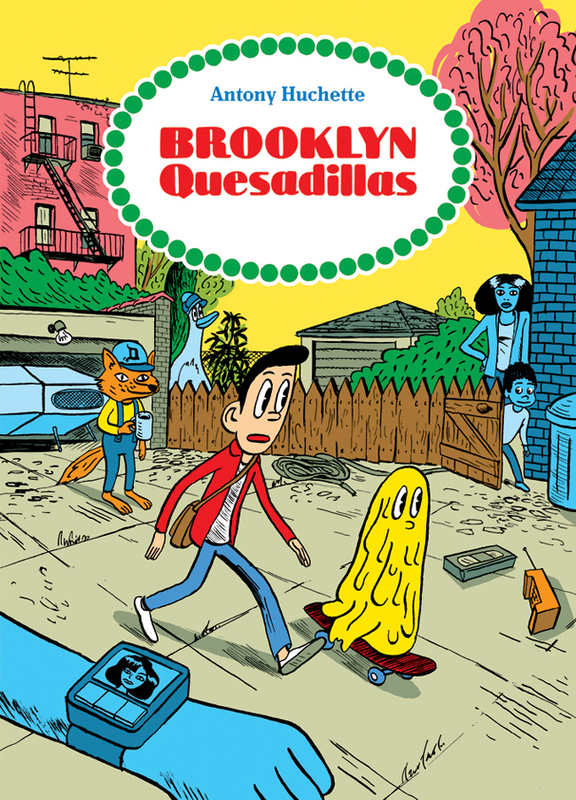 Brooklyn Quesadillas is about Joseph, a father/boyfriend/producer who is trying to figure out how to make a living off of his dream-world talk show Homemade Quesadillas. This quest is **record scratch** interrupted when Denise Huxtable (from The Cosby Show) kidnaps Joseph away to the Governors Island, where he is to direct a film to restore Denise and other sitcom starlets to their former glory. It’s the Science of Sleep for the quarter-to-mid(third? )life crisis crowd raised on early 90s TV. I’m only a handful of years behind Antony Huchette, but even I’m having trouble not freaking to Wikipedia with every drop of a reference. And in a way, I find that to be a brave authorial choice. Huchette (himself a Frenchman living in Brooklyn) seamlessly blends Joseph’s real world life (internship, job, family, etc.) with his dream world. Watching Yves Roberts movies on an iPad as a lullaby, riding in a rowboat named Walt Kelly, or hearing “Tezata” by Mulatu Astatqé at a house party: these bits of cultural flotsam float on by as you fly through Joseph’s coming-of-middle-age journey. Sure this story can be your gateway into singing Prince songs at karaoke, or a reminder to reread Richard Scary (note to self: see if the library has any Richard Scary books…), but really it’s the reverence that Huchette silently pays to these things that matters. It’s the same reverence that Joseph is supposed to demonstrate on his movie assignment, before he realizes that these pop culture castaways are just a distraction from what really matters. He’s created this escape full of his TV crushes, a group of unattainable and unreal women who finally need him, but all he wants to do is get back to his family. Early in the book, Joseph tells Fruitor, the fox who hosts Homemade Quesadillas, that he shouldn’t worry about money because, “when you’re lucky enough to be doing what you love, it’s best to be patient.” By the end, Joseph gets that it’s not being able to do what you love that’s special, but having special people to love that makes it worthwhile. In general, our generation is going through a thing where it’s cool to have less stuff. Whether it’s because you’ve discovered unemployment or Buddhism, being a minimalist is hot right now. And I think that also applies to how we value a renaissance wo/man. Unless you’re trying for the full Trivial Pursuit pie, the third-life crisis nowadays is more about focusing and getting better. It’s about finding fulfillment in the things that are most important to you, to really matter. 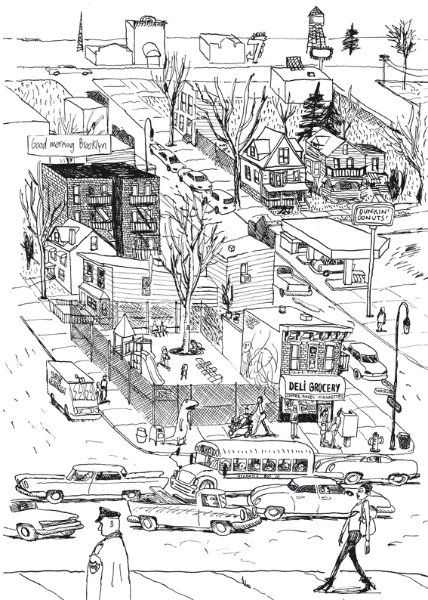 The 21st century in a big city is about specializing – being specific gives you an edge. We only have so much room in our hearts and heads, and so we should fill it with only the best. And a nice thing about BQ is that at 64 pages, it won’t take up much space on your shelf.